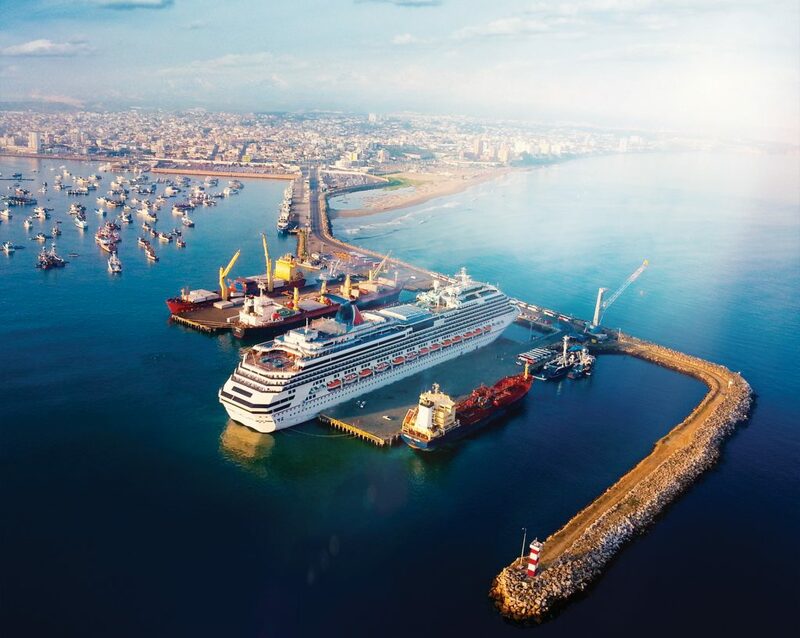 Chilean port and airport operator Agunsa has been awarded a 40-year concession to develop and operate the Ecuadorian port of Manta. According to the Manta Port Authority, Agunsa has committed to investing $177 million in the port, including a new cruise terminal, and will pay Ecuador a fixed annual fee of $310,000 plus a tonnage fee for cargo and a fee for containers. The investment is divided into two main phases, according to Marcelo Ramirez, vice president of Terminal Portuario Manta, the local subsidiary of Agunsa. The first phase will cover a 100-meter berth expansion, channel dredging to 12.5 meters, the construction of a cruise terminal, and various cargo handling equipment. The second phase will include more dredging to 14.5 meters, additional cranes and container equipment. Ramirez told Cruise Industry News that construction of the cruise terminal is expected to get underway in April with completion in February 2018. Manta had 19 cruise calls and 18,065 passengers last year, and has 18 vessels confirmed for this year, including ships from Holland America, Phoenix Reisen, Silversea, Crystal, Fred. Olsen, Oceania and Regent Seven Seas. Ramirez added that the port can handle cruise ships up to 300 meters in length and up to 3,000 to 4,000 passengers. Santiago-based Agunsa was said to be sole bidder for the concession. The company also operates the cruise terminal in Valparaiso (Chile) and cargo operations at Port Everglades. The port facility, which is now known as TMP (Terminal Portuario de Manta) is receiving car carriers, bulk carriers, container vessels, fishing vessels (mainly tuna), and cruise ships. Ramirez said the infrastructure to be developed during the next few years will support the continued growth of the port and ship traffic.